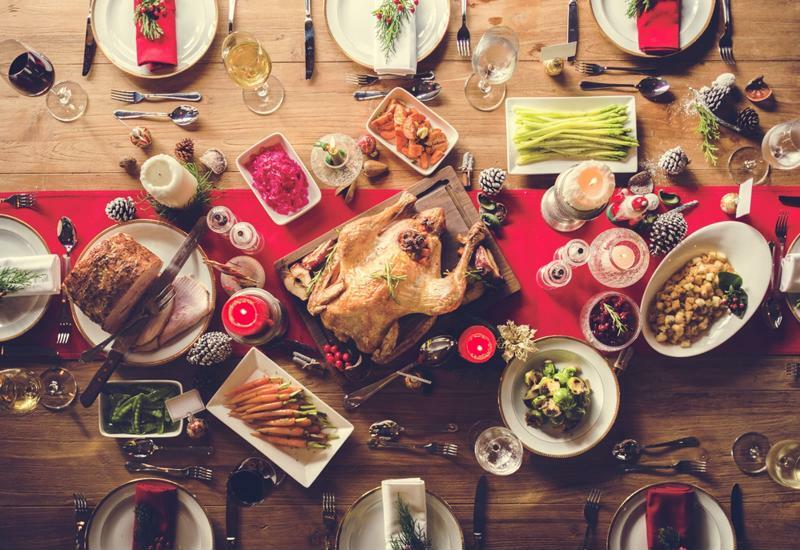 SUMMARY: To ensure guests take proper care of their mouths this holiday season, here are four oral care tips you can share around the Friendsgiving table. Thanksgiving is right around the corner. While many people gather with family for the festive Thursday feast, some also plan a separate get-together with close friends. This event, most commonly referred to as "Friendsgiving," is just another gathering that's filled with thanks, laughs and turkey. Before you and your friends dive into the big meal, start out with an appetizer of cheese and raw veggies. According to Colgate Oral Care Center, cheese is loaded with casein, a protein that strengthens the surface of your teeth, which ultimately reduces your chance of developing cavities. Raw vegetables are beneficial because they produce saliva, which washes away bad bacteria and lessens your halitosis risk. The crunchy exterior of the veggies can also help remove food particles from teeth, taking some of the hassle out of flossing. Bring a variety of raw vegetables to the Friendsgiving get-together. There's no denying the variety of beverages you'll drink with your Friendsgiving meal, but prioritizing water is a must. Sipping water throughout the night can flush away the sugars that bad bacteria thrive off, reducing your risk for tooth erosion. And drinking water doesn't only keep your mouth clean; it also strengthens your teeth and fights dry mouth, according to Mouth Healthy, an oral health initiative by the American Dental Association. Be sure to alternate between sugary beverages and water throughout the Friendsgiving festivities. Pumpkin pie might be your go-to dessert on Thanksgiving, but the added sugars in the pie base and whipped cream topping are bad for tooth enamel. This year, why not try a sugar-free recipe or a nut-based dessert instead? The hard and crunchy texture of nuts is great for producing extra saliva in your mouth, which can be beneficial for a healthy, odorless oral cavity. Why let the food eat away at your enamel after the feast when you can eliminate the food particles and bad bacteria before they cause harm? You don't have to brush your teeth at your Friendsgiving get-together, but at least consider using an Oral Rinse after the meal to help rinse food particles away and freshen your breath. It'll reduce your fears of post-holiday-meal halitosis and keep you from worrying about the leftover turkey getting stuck in your teeth for the Friendsgiving picture! No matter how you choose to spend the holiday season this year, oral hygiene is critical as always. Give your teeth, gums and tongue a little extra attention. Happy holidays! TheraBreath Icy Mint Travel Rinse (6-pak) Our NEW Icy Mint Oral Rinse in TSA Compatible bottles.